Welcome to Part 20 of Installing Sendy and Virtualmin on Amazon Web Services (AWS). 1) If you are part-way through the Installing Sendy and Virtualmin on AWS guide, you may already be logged in to AWS. 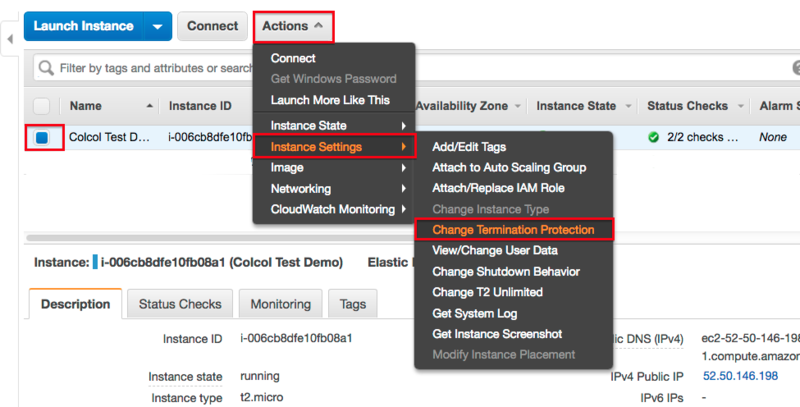 ​Then click Actions then select Instance Settings then Change Termination Protection. 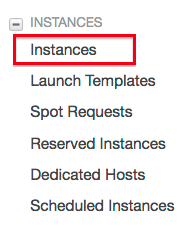 Then click Actions then select Instance Settings then Terminate. 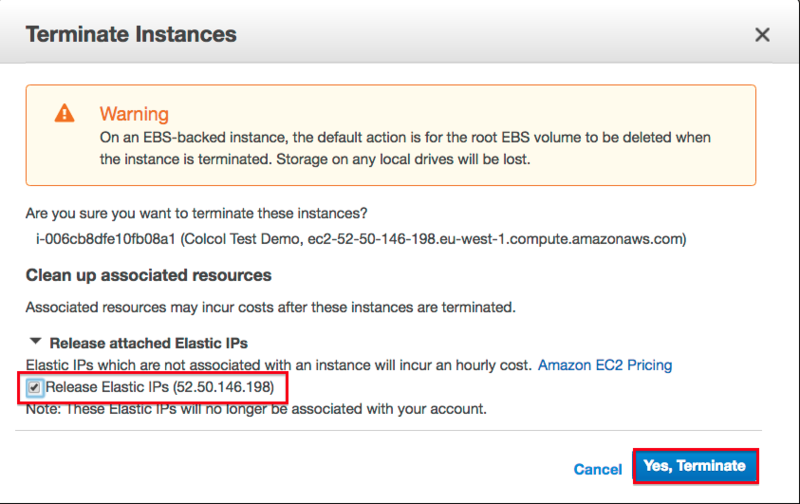 Click the Release attached Elastic IPs option and then tick the Release Elastic IPs box. 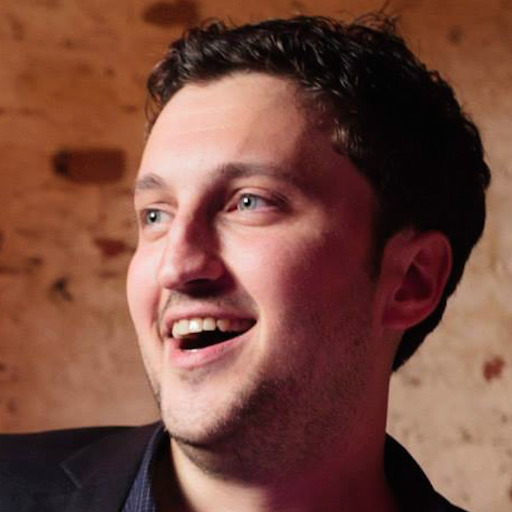 Make sure the Release Elastic IPs box is ticked. The Instance State of your server should now show shutting-down. 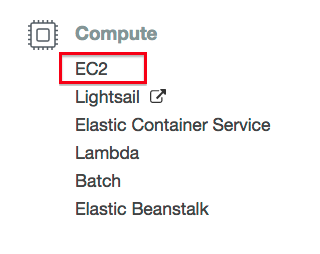 Stay logged in to AWS, and click here to return to Part 2 (you can skip Part 1, assuming your AWS security group is correct). Alternatively, click here to return to the Introduction.